This article is from the Trout Unlimited Canada web site. We have republished it here as it is an excellent overview of the type of work that has to be done and the kind of support we need to obtain to enhance our fisheries. The Kettle River watershed is part the Columbia River system in the Okanagan region of Southern British Columbia and Northern Washington State. The Kettle River has been referred to as one of British Columbia’s most endangered rivers. 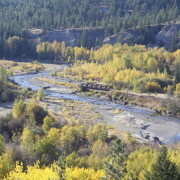 Threats facing the Kettle River have included over-harvesting of fish, and habitat loss resulting from the degradation of riparian areas and loss of in-stream cover. 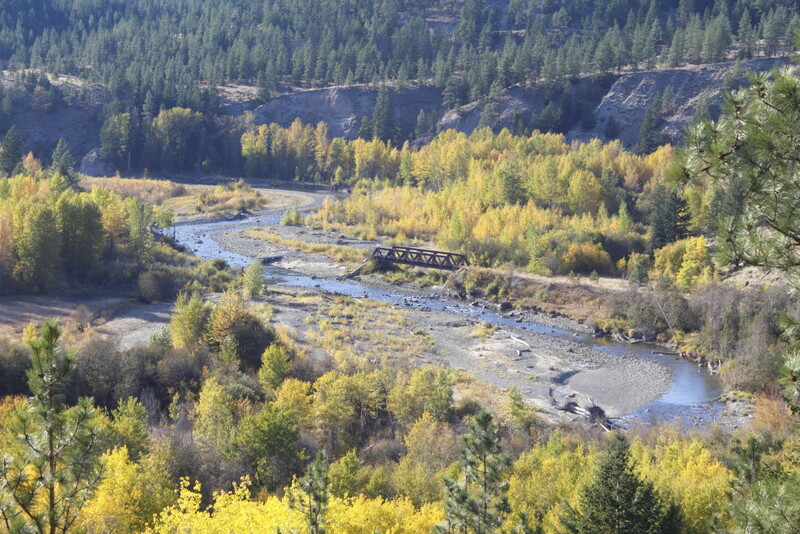 The TUC Okanagan Chapter is currently working with other partners to improve conditions along the river through education, restoring flows and enhancing fish habitat. Helping to achieve their goals, TUC’s Okanagan Chapter was the beneficiary of a $25,000 grant from the RBC Blue Water Project™ donated, on behalf of the RBC GranFondo Kelowna. TUC biologists Brian Meagher and Lesley Peterson and CEO Jeff Surtees took part in the GranFondo Kelowna, a challenging 115 km cycling event through the picturesque Okanagan Valley in support of RBC and its Blue Water Project funding for the Kettle River. Leading up to the ride, TUC proposed five different projects within the Kelowna area, each with the goal of improving fish habitat and educating community members. Cyclists and other members of the public were invited to help decide which project should receive the funding through an online voting system. The Kettle River Project won the vote and was announced at the awards ceremony of the RBC GranFondo Kelowna on July 16 in front of hundreds of event participants,volunteers, and community members. TUC CEO Jeff Surtees and Okanagan Chapter president Travis Lowe took part in the cheque presentation along with representatives from RBC. The Okanagan Fisheries Foundation is a non profit organization made up of local businesspeople, non government organization members and individuals dedicated to enhancing and preserving the Okanagan Valley and Region 8 fisheries. Our fish stocks, spawning habitat and local ecosystems are a measure of the health of our waterways and can help mitigate flooding, provide economic and recreational value, and ultimately reflect our communities reverence for our local natural resources and their inherent beauty and value.